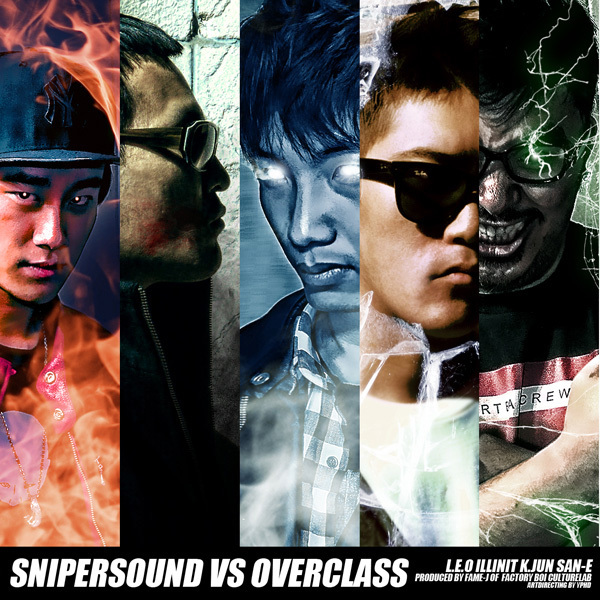 The teaser video for FAME-J‘s first producing project ‘Sniper Sound vs Overclass’ has been revealed. The video was created by FACTORY BOi Culturelab‘s Analog Tag (Ryu ChungHo | Twitter). The single features artists L.E.O, Illinit, K.Jun and San-E and will be released on January 9, 2012. This entry was posted in Album Release, Miscellaneous, Videos and tagged analog tag, factory boy culture lab, fame-j, illinit, k.jun, l.e.o., overclass, rye chungho, san e, sniper sound, sniper sound vs overclass. Bookmark the permalink.